Mobile Contract Plunge Sheep Dippers can provide a convenient and cost-effective means for getting your sheep dipped. Many are willing to travel nationwide. Click on one of our dipper ‘pins’ below to find out the contact details of a dipper and the area they are willing to travel to. Details relating to mobile dippers for use with Bimeda UK products are provided on this website for information purposes only and do not constitute in any way an endorsement or recommendation of or a partnership with an individual mobile dipper by Bimeda UK. Bimeda UK has not carried out any background checks on any of the mobile dippers listed on this website, nor has it verified the existence of the mobile dippers, the quality of the services provided, or their compliance with relevant legislation. Bimeda UK has not reviewed the insurances and/or environmental permits, waste licences or certificates of competency of any mobile dipper listed on this site. Bimeda UK has included the list of mobile dippers on its website as a reference source for customers only. Choosing a mobile dipper is carried out at the risk of the customer. The provision of goods and/or services by a mobile dipper to a customer is entirely a matter between the mobile dipper and the customer. Bimeda UK accepts no liability or responsibility, whether for breach of contract, negligence, breaches of environmental or health and safety law or otherwise, in respect of any dispute, claim or cause of action arising out of, or in relation to, any product or equipment used by, or work carried out by a mobile dipper. Bimeda UK shall endeavour to keep the details of mobile dippers up to date, however we cannot be held liable for any problems that arise because information has changed without our knowledge. We strongly recommend that when choosing to hire a mobile dipper for use with Bimeda UK products, the customer satisfies itself of the legitimacy of the mobile dipper and that its insurances and/or environmental permits, waste licences or certificates of competency are current and valid. 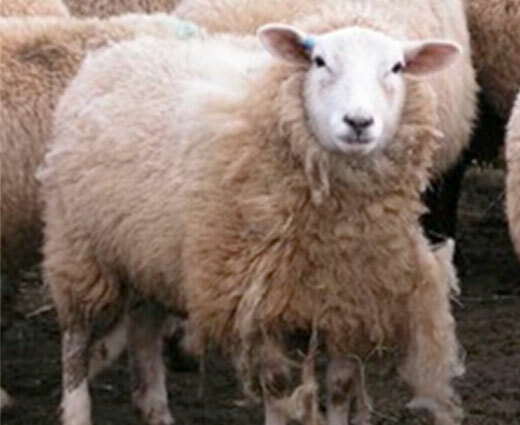 Scab is still a major concern for UK sheep producers as it has a significant impact on the health, welfare and productivity of affected animals. 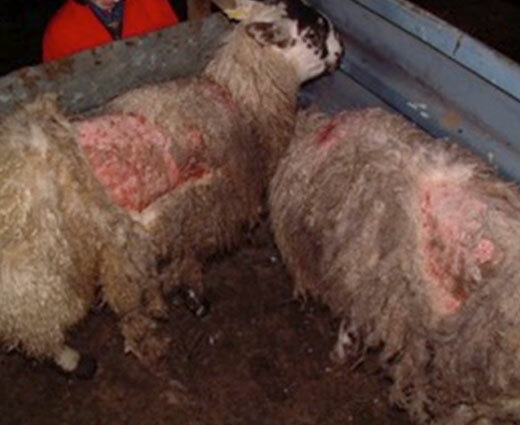 Sheep scab is a disease caused by the mite Psoroptes ovis which lives on the skin surface where it feeds. 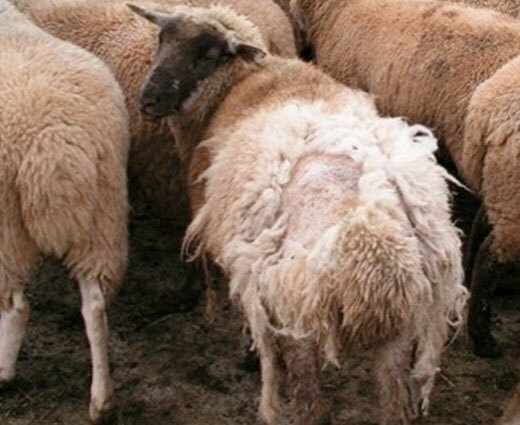 The faeces produced by the sheep scab mite cause a severe allergic dermatitis resulting in the ‘scabby’ lesions which we associate with the later stages of the disease. 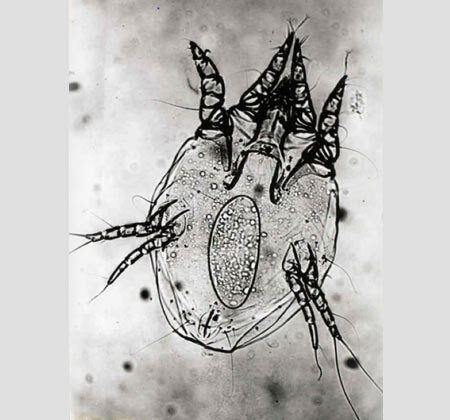 The mites are transferred from animal to animal by direct contact or on ‘fomites’; pieces of wool containing sheep scab mites. These mites are able to survive for 17 days without a host to feed from making it challenging to control and the potential for re-infection high. Once these eggs hatch it only takes 2 weeks for the larvae to develop in to adults . The mite can survive for up to 19 days off the host which is vital to remember when considering how we can tackle this parasite . DO YOU NEED TO MOVE TO CLEAN PASTURE? DOES ACTIVE INGREDIENT TARGET ANY OTHER ECTO-PARASITES? Products which target external parasites only, such as dipping for scab should be seen as the preferred option as part of farmers’ parasite control plans to help eliminate scab. The macrocyclic lactones are a broad spectrum parasite treatment and will also target gastrointestinal worms . When we use macrocyclic lactones to treat scab, we inadvertently expose internal worms to them . As worm burdens are typically low during key scab season, we are increasing the rate of development at which worm resistance can occur to the 3-MLs . Many key advisory groups share these sentiments, for example, SCOPS are concerned about the potential implications of 3-MLS being used for scab in terms of the development of anthelmintic resistance to macrocyclic lactones2. 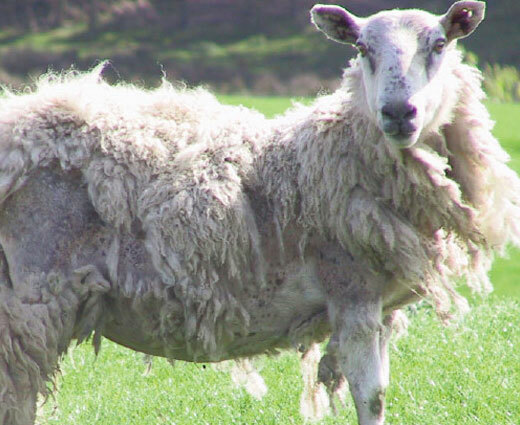 Sheep farm productivity has already been devastated by anthelmintic resistance therefore it is essential we take all measures to slow its rate of development.